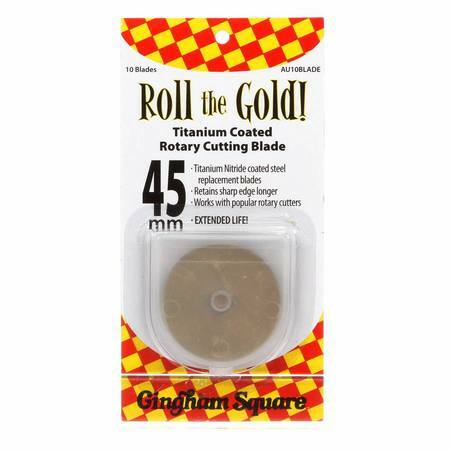 Titanium coated steel rotary blades maintain a sharp edge longer than traditional rotary blades. 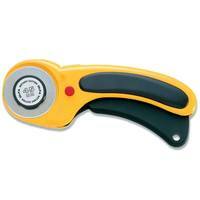 This eye-catching gold colored blade works with many 45mm rotary cutter handles. 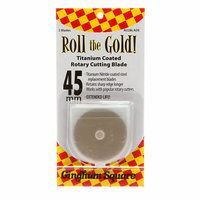 Package contains 10 blades.